You know, I would have never thought to write a recipe for an egg sandwich. It's something I make all the time. I've even made them just as this recipe suggests, so I already knew what to expect....yummy goodness. I'm not a sweet-eater in the morning. I prefer eggs, or even leftovers from last night's supper. So this recipe is a great option for quick and easy morning fare. I view this recipe as more inspiration than pure instruction. You can take your own angle on it. Use Swiss or American cheese. Use ham or turkey bacon or nothing. It doesn't matter. It's all delicious! On that note, I hope you enjoy this last recipe review in the 30 Days 30 Recipes Challenge! Find this recipe on page 24: 100 Favorite Weight Watchers Recipes. Place an english muffin in the toaster. Spray a large mug with nonstick spray. Place Canadian bacon on bottom of mug. Pour 1/4 cup of egg beaters on top of bacon and microwave 1-1.5 minutes. Remove from microwave and add cheese. Once english muffin is toasted, remove and scoop egg, bacon and cheese onto muffin. Voila! 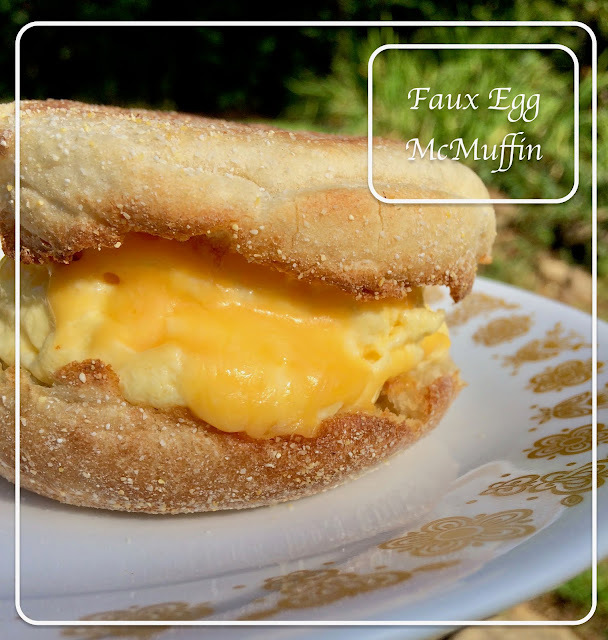 Egg McMuffin a la home!